For window contractors that serve Sarasota, Florida, or a surrounding area, look no further than NewSouth Window Solutions. 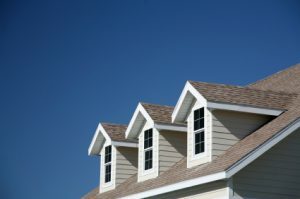 As a locally owned and operated company, we understand the needs of Florida homeowners better than other window contractors and can provide you with the best window solutions. This is because we put a special emphasis on providing windows that are energy efficient and have features like dual weather stripping, double-paned low emissivity glass, and insulated frames. And, because this will put less strain on your HVAC system, this can even lead to lower monthly energy bills. Additionally, because we manufacture our windows in-state, they’re available at true factory-direct prices. Other contractors may claim that they can offer you these prices, but through NewSouth Window Solutions you will have access to our state-of-the-art windows for much less. To learn more about how we outshine the rest of the window contractors in the area, contact NewSouth Window Solutions today. Stop in at our conveniently located showroom and manufacturing facility to see all of our products in person. We will happily serve homeowners in Sarasota, FL, and all surrounding areas.